Facebook is continually rolling out new features that benefit both marketers and users, and one of my all-time favorite features they gave us is their carousel ads. Carousel ads don’t cost more than single-image ads with the same objective, but are more dynamic and consistently result in better results. In fact, Facebook reported that on average, campaigns with carousel ads resulted in 30-50% lower cost-per-conversion and 20-30% lower cost-per-click than single-image ads. Carousel ads, which can also be used on Instagram, also frequently yield higher click-through rates. Carousel Ads have the massive benefit of impressive results, but they can also boast versatility; there are a ton of different ways to use these ads to reach the goal and objective you’re looking for. 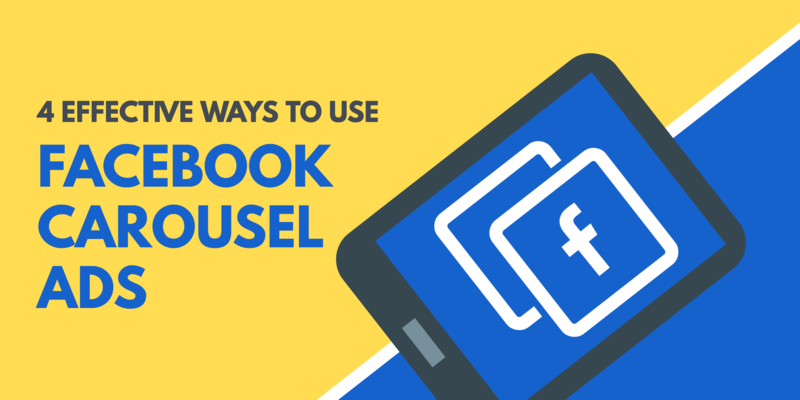 We’re going to look at 4 of the most effective ways to use Facebook’s carousel ads, and I’m positive you’ll find at least one use for every type of campaign. 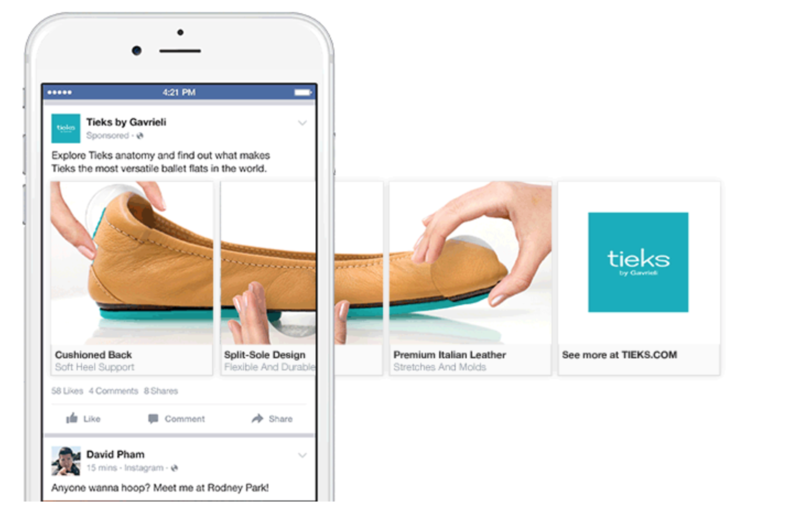 If you’re looking for the Facebook carousel ad dimensions, check out our in-depth post on Facebook ad sizes! If you have a specific product that you want to get a lot of attention on, what’s better than showing it in one image? Showing it in three (or more) images, all side by side, in an ad format known for high click through rates. Tieks used took one picture of their main product (women’s flats) and divided it up into three different images. Under each individual image, they list a different feature, including the cushioned back of the flat and the handmade leather. The above is a great example of how to highlight one single product and showcase as many features as possible. 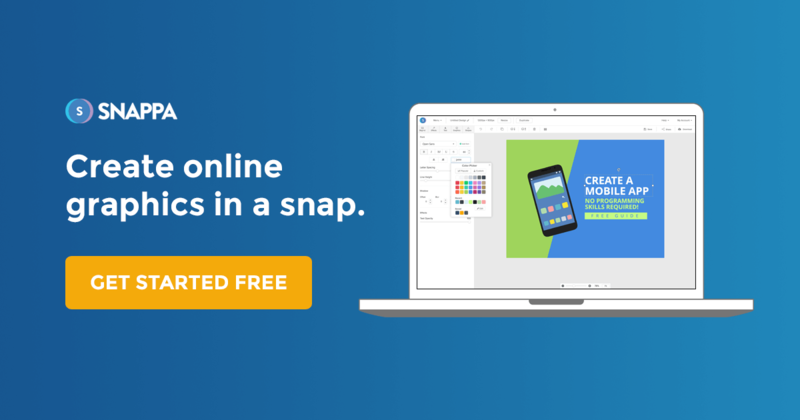 The single image broken into three became more dynamic and interesting, and can grab your attention fast; the features of the product give users all the incentive they need to then click and convert. 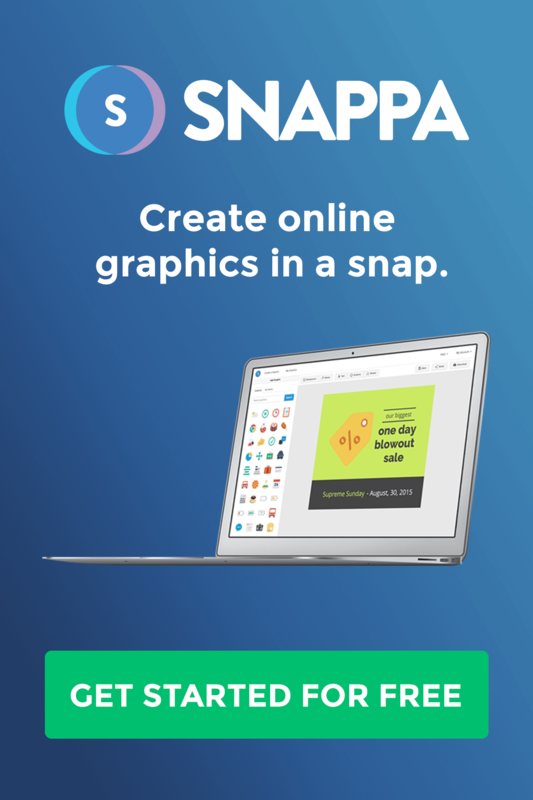 This is a great strategy when you want to build brand recognition and connect with new clients. Showing them the value of one product can win them over faster. It’s also great for campaigns promoting big-ticket or signature items that you really want to sell. While featuring one product definitely has its uses, using carousel ads to feature different products is also exceptionally effective. 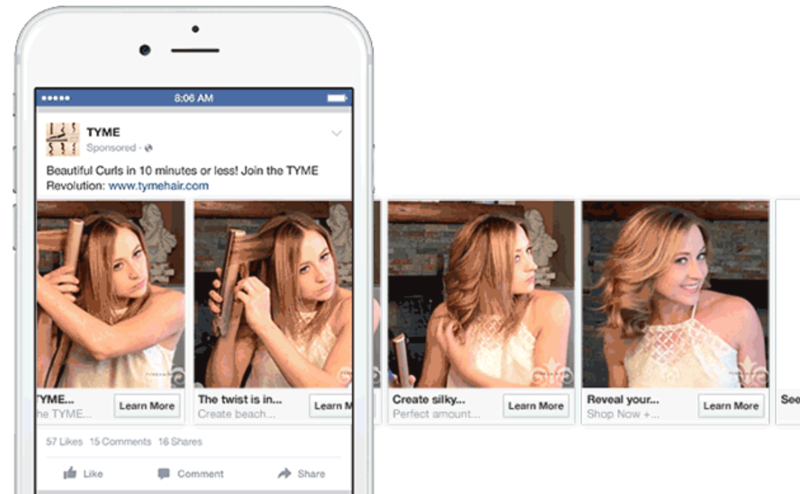 This is one of the most common ways to use Facebook’s carousel ads, and it’s a good one. One use case for this is to show complementary products through carousel ads. This is particularly efficient utilize retargeting, showing users complementary products based on past purchases with the help of custom audiences. By grouping items that go well together, you can increase the number of items a customer purchases, increasing your ROI and your revenue. A great example of this the ad shown below; when showing items as a set, you can sell more products per purchase. If you’re targeting cold traffic and looking to build brand recognition, you can feature a more diverse selection of products. This can give new audience members a better idea of the variety of products you offer, and increases the chance that they’ll see something they’re interested in. 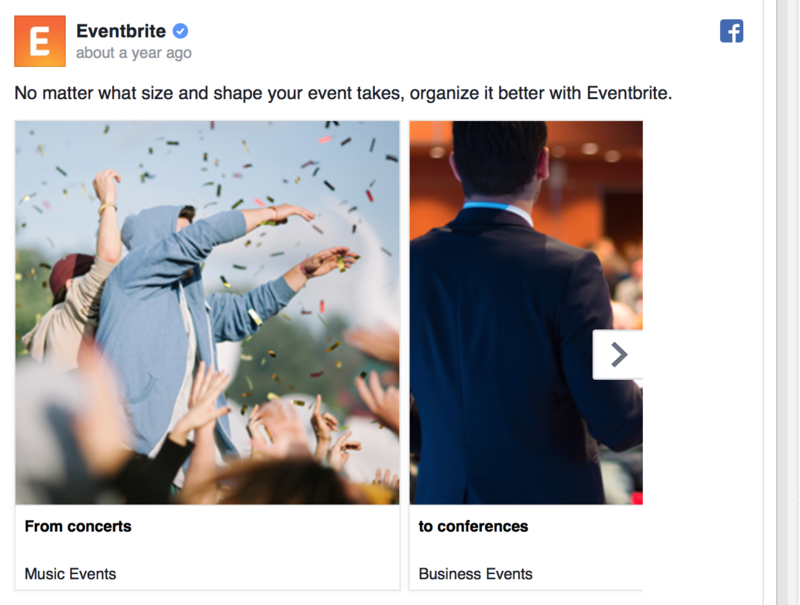 The ad below from Eventbrite is a great example, listing very different types of events their diverse audience might be interested in. Make sure that no matter which strategy you use that you always place the correct link to each product on your carousel ads. I heavily recommend against sending to a general landing page, and instead sending users to the page of the exact product they clicked on. This increases conversions; if you send them to a landing page, they might not put any effort into looking for the item that had piqued their interest. Storytelling is a powerful tool that can make a big impact on any type of marketing campaigns. It can appeal to users’ emotions, and can leave a more lasting impact on them. And there is no ad format better suited to storytelling than Facebook’s carousel ads. Stories must have a beginning, middle, and end, and carousel ads make that exceptionally easy to achieve. Stories can also benefit immensely from compelling characters, and so can your ads. Your story does not have to be complex. 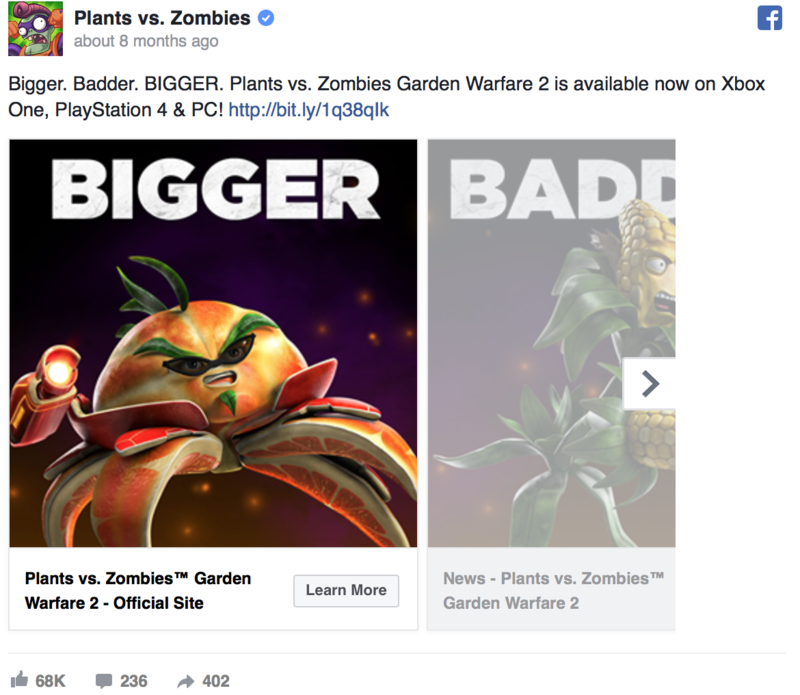 A great example of a simple story is the Plants vs. Zombies carousel ad pictured above. Their slogan is “bigger, badder, BIGGER.” By attaching one phrase to different dynamic characters, the ad becomes compelling and feels dynamic. You can’t help but scroll through it to see the end, even if you have no idea what Plants vs. Zombies is. You can also tell a story using characters that will emotionally appeal to your audience. The ad from Love Found does this exceptionally well; they use the same set of characters and tell the story of their progressing relationship. This story is also simplistic, but it has a beginning, middle, and end, all showing how incredible the product is. You know Geico’s “It’s so easy a cave man can do it” commercials? They’re on to something. Showing users how easy it is to use your product is an incredible way you can demonstrate the product’s value. It’s one of the best ways to use Facebook’s carousel ads. TYME, for example, created a hairstyling device that both straightens and curls hair. In a carousel ad, they showed a step-by-step tutorial for how to create beautiful curls in “10 minutes or less.” By demonstrating how simple it was, they’ll increase the number of audience members who are interested in purchasing. 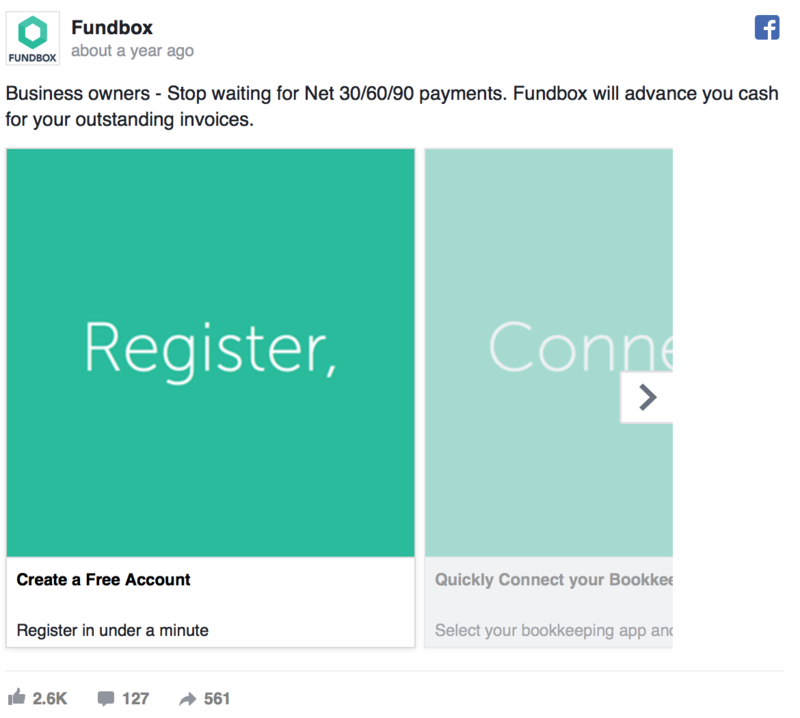 Another great example is Fundbox’s carousel ad. They understand that waiting for payment from clients can be difficult and exhausting, and use their carousel ad to show you how simple it is to set up an account and get cash advances for outstanding invoices. Ease of use is crucial for services like this, and that featuring that accessibility was a smart move. It’s also a reminder that the tutorial demonstrating how to use your product doesn’t need to be a literal visible walk-through. Facebook’s (and now Instagram’s) Carousel Ads consistently have proven to result in strong ad performance. They’re more dynamic than regular ads, and are extremely efficient at grabbing users’ attention. 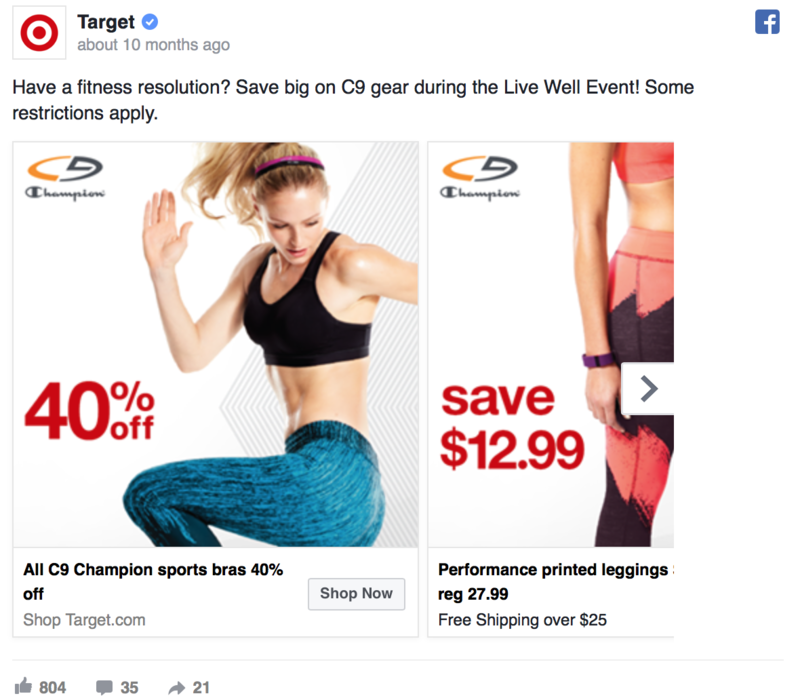 The 4 ways to use Facebook’s carousel ads discussed above can benefit you whether you’re looking to build brand recognition, increase social followers, or inspire conversions—or all three. Just remember to focus on only one of these goals per campaign, and you’ll be good to go. What do you think? 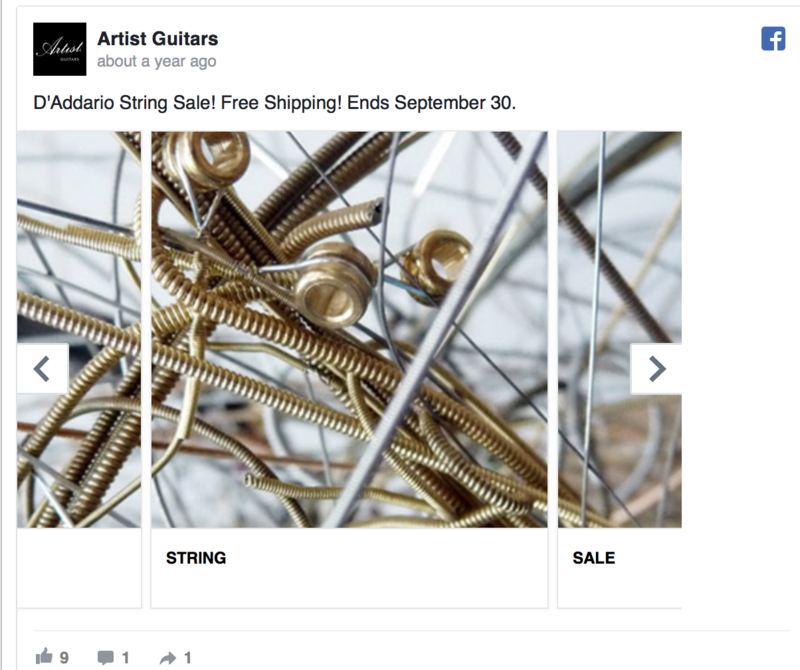 How do you use Facebook’s carousel ads? Which strategies have worked for you? Leave us a comment and let us know!